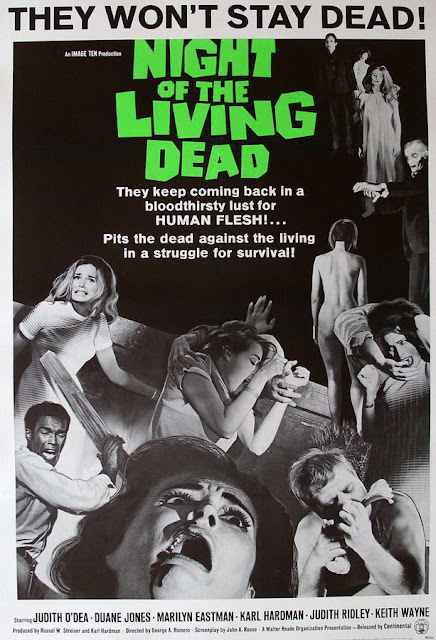 Pittsburgh Underground: Movies That Have Everything: 50th Anniversary Celebration of Night of the Living Dead THIS SATURDAY!!! Movies That Have Everything: 50th Anniversary Celebration of Night of the Living Dead THIS SATURDAY!!! They’re coming to get you Barbara... At the Byham Theater (101 6th Street, Pittsburgh, PA 15222 / 412 456 6666) this Saturday for the 50th Anniversary Celebration of George A. Romero’s Night of the Living Dead! Believe it or not, this Pittsburgh original was first shown at the Byham Theater, or the Fulton as it was known 50 years ago, bringing the zombie genre into the hearts and bones of horror fans! The fun begins on the red carpet starting at 7PM, the show starts at 8PM, and the film at 9:30 PM with tickets starting at $50.00 (you can get your tickets here). Being that this is the 50th anniversary of the one that started it all there will be a live presentation from cast and crew before the 4K state-of-the-art restoration created by the Museum of Modern Art from the original camera negative (and supervised by George himself) rises from it’s grave and onto the silver screen for all to enjoy. Chairman of the Pittsburgh Film Office, Russ Streiner (also known as Barbara’s ill-fated brother Johnny in the film) will be there along with Barbara herself, Judith O’Dea along with other cast and crew. Zombies Infest the Byham Theater! Zombies have already been spotted in full makeup lumbering on Sixth Street this past Monday for ‘Romero Lives’ event to honor the father of American zombie films, George Romero, as his widow took center stage to speak for her late husband. 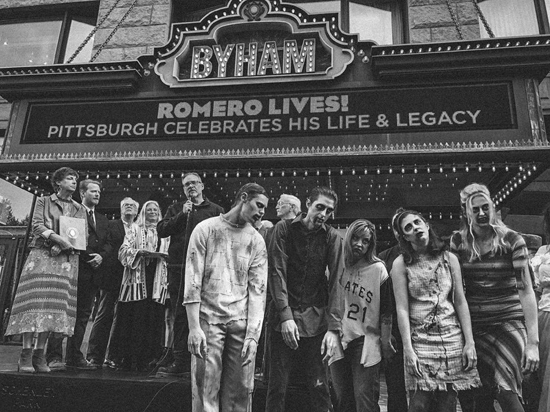 The 50th Anniversary of Night of the Living Dead is a one night only event at the Byham Theater this Saturday so crawl out of your grave and join the ghoulish good time!